Deltora Quest was one of the first anime I watched, and let me just say that it was a good one. I'm writing this review as someone who has only seen the anime, not read the books. For being an older show, the animation is nice. The voice acting is good (Both in English and Japanese) and the characters are like-able. I'd suggest this to anyone who hasn't seen a lot of anime, and also those of you who have seen a lot! It's good for anyone. When I saw Deltora Quest was an anime I couldn't believe my eyes. I loved the book series when I was a kid and was prepared for the worst. I thought the series would be unbearable to watch with dubs, but the voice acting is actual pretty decent. The anime follows the original story from what I remember almost perfectly, so you don't need to read the books to understand what's going on. The animation is not half bad, though I'm not a fan of the weird 3-D rendered boss monsters, but it still works pretty well. The lines can be a bit cheesy sometimes, but the dialogue is pretty good. So far I'm on episode 12 and I plan on watching the whole series. Overall I say if you liked the book series as a kid its definitely worth your time. Its a very fun series with a saturday morning cartoon vibe. I have read all the books the series, and for the most part this show does it justice. There are two more book series after this one. Crunchy rool if your out there talk to these producers and make it happen! As a child this book series was one of my all time favorites. The anime so far has been almost just as good. No book made into a movie (or anime in this case) ever perfectly lives up to our expectations, but this anime has done a really good job of capturing the sense of adventure and mystical journey that I found so enchanting as a kid. If I wanted to nitpick I could probably come up with a few flaws with the anime, but the nostalgia factor is super strong for me. I think most fans of the book series will at worst enjoy this show and at best love it. Surprisingly faithful to a wonderful series! As in the title, one of the most impressive things about this series was how closely it managed to get to the books- there are certainly some differences, and they even managed to work in a couple filler episodes, but it was largely a case of a book series faithfully brought to life instead of haphazardly represented. The voices are decent, the puzzles- Just like in the books, he doesn't get the ability to solve a problem until after all the hints are given to the viewer, just like in the original series. This leads to him looking like a doofus in anime format, but when one keeps in mind how and why it was written that way it's just fine- certainly faithful to the originals. The music was decent as well- there are some tracks I wouldn't mind having, the OP included. Then there's the style. Considering the time it came out, (2007) it was animated old-style (which I love) but with the main monsters done in CG (which... well I sort of didn't love) Considering it was CG from 2007, I'm fine with it, but it DEFINITELY hasn't aged well and will continue to look more jarring as time moves on. Even so, the designs were well done and made with a good amount of detail. Long story short, I loved the original series of books and this anime wasn't even the slightest bit of a disappointment. I love this anime just as much actually! 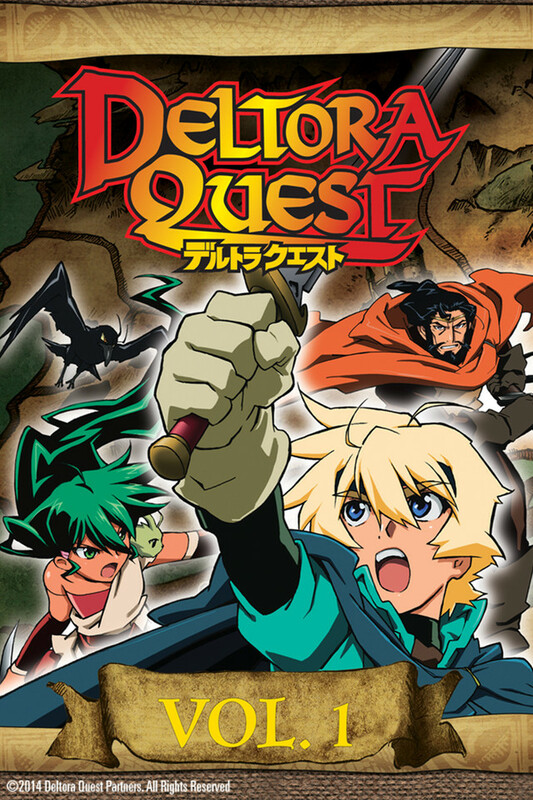 I'm still curious as to how Deltora Quest got an anime... That's fascinating. Im soooo happy to see this!! I stumbled apon this on tv just after reading the books and i was sad because i wasn't able to see every episode but i'm glad that it is on crunchyroll, so now i can get caught up, and watch every single episode. Yahoo!! I was stoked to see that Crunchyroll had this! I first stumbled upon it years ago. I watched it on YouTube. It was a strange combination of subbed and dubbed videos, but I liked it all the same. I'm glad to finally watch it all the way through! Pretty good anime, and it sticks to the novels pretty well. It also has a huuuge nostalgia factor, but that never hurt anyone. So you must be thinking this kinda looks like one of those normal anime kid shows just by seeing how their drawn. But as the saying goes "Don't judge a book by its cover." Since this show is by far one of the best anime shows for children , teenagers and adults alike. The plot and character development is extraordinary no matter if its the main or side cast of characters. You will know what I mean once you experienced it yourself by watching it. The drama, adventure, action and even some ... well I won't say just go start watching it and I give you my word you won't regret it. I loved this anime. I was so excited when I saw it was on Crunchyroll, but then my hopes were dashed. I started watching and realized it was the English version. That wouldn't have been that bad except some of the voices, like Lief's, were painful. Also I looked and found out the English version is THIRTEEN episodes shorter. That's thirteen episode of content lost which made it a little confusing in the story(not to mention dull). Let's just say I was more than a little disappointed.